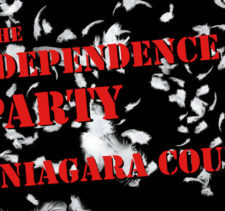 The newly formed Niagara Orleans Land Bank is rallying N.T. leaders to make the city-owned 250 Miller St. its first test property in the city. A resolution to pull the property from Saturday’s In Rem auction was unanimously approved by the N.T. city council Tuesday. “I want to commend the council tonight for taking this proactive action,” said Niagara County Legislator Richard Andres (above). 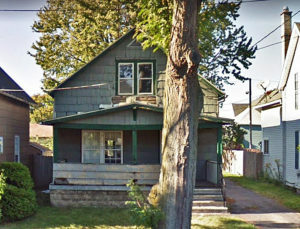 While the property was pulled from Saturday’s auction, which will feature 19 properties —including another one on Miller St.— 250 is not guaranteed to go to the land bank or under what terms. Another speaker, B.J. 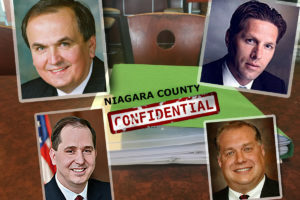 Vandewater, said based on the Niagara Orleans Land Bank’s first set of minutes the organization appeared to be nascent. 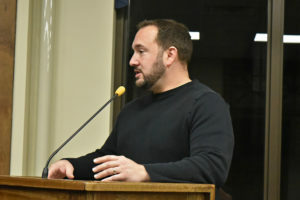 “The land bank is just getting organized and they are not quite ready to do business from their minutes,” Vandewater said. 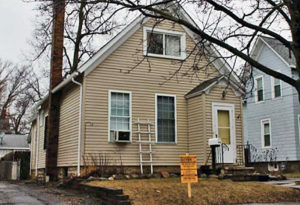 While the pricing information was no longer available for 250 Miller St. — as the property was removed from the auction list — 274 Miller St. had a combined assessment of $57,000. 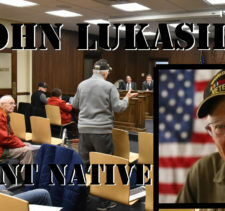 The City of North Tonawanda still needs to write its bylaws regarding its association with the Niagara Orleans Land Bank. It also needs to appoint members to the selection committee, which has become a potentially defining moment for this 2018 council. Austin Tylec, a real estate, architecture and planning professional, wants to serve on a board involving real estate, planning and architecture. “You know, your desire to be on a committee is being entertained by if there’s a vacancy,” said Council President Eric Zadzilka during the agenda discussion before the meeting in the 2nd-floor conference room. “It seems like we need someone,” said Tylec. “We need someone on the upgrade committee; we don’t need someone on the Land Bank committee,” Pecoraro says. “I don’t understand why — was it Eric? — they asked you to step down before asking me?” Tylec asks. “He asked me to step down,” Pecoraro says and is cut off by Zadzilka.